Having a good credit score is essential to paying the lowest interest rates on loans, mortgages and credit cards. This 3 digit number is the key to a comfortable financial life. What is a good credit score? The range for a FICO (Fair Isaac Corporation) score is 300-850. The FICO score is used by more than 90% of lenders. A 700 is generally considered a good score which makes obtaining the best loan products easier. It is safe to say the everyone wants a high credit score. However, many people have run into trouble with their credit, either through a divorce, bankruptcy or just some unfortunate events. It is a very overwhelming task to start to rebuild your credit and get back on track. 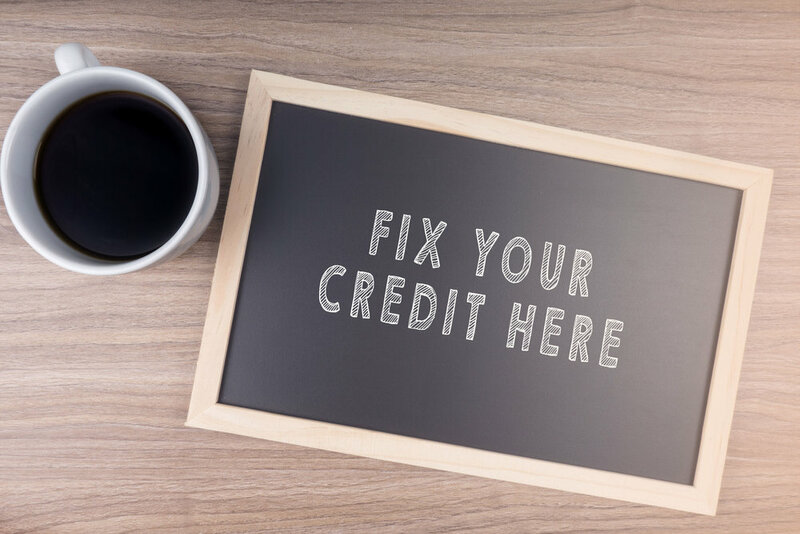 People often feel like they need help to restore and reestablish their good credit score, so they turn to a Credit Counselor or some other credit repair company. I am not going to bad mouth these companies, they do serve a purpose, however their services are not free. We are all busy with our lives, but your credit score is too important not to take care of its maintenance yourself. There is nothing that these companies do to repair your credit that you can't do yourself. The money you spend with them, could be used to lower your account balances. Here are the four steps you need to improve your credit score. The credit report is the document used to determine your credit score. It is like a report card of all your financial decisions you have made in your life. Once a year, you are entitled to 3 free reports, 1 from each of the major credit bureaus, TranUnion, Equifax and Experian. Theses yearly reports are available at AnnualCreditReport.com and by mail and phone. Also, if you have been turned down for credit recently you can get a free copy of your credit report only from the bureau that was used to deny you credit. If you have obtained all your free reports, you can also purchase the reports from each credit bureau for a small fee. Each of their websites will provide the purchase information. To get your credit score is easier than it has every been. All 3 credit bureaus have offers to purchase 1 or all 3 scores for a fee and myfico.com offers all 3 scores and reports for a fee. If you want to use free sites like Credit Karma and Credit Sesame these sites use a different model from FICO to determine the score, however they are a good monitor to map your progress in improving your credit score. Depending on how long your credit history is, it could be an overwhelming task to review all the information on all 3 of your credit reports. Review 1 report at a time, taking a few days to take notes on each account. There are some accounts you may have forgotten and some information that could be wrong, take notes on all the information. Your personal information should be corrected if any of it is wrong: name, current address, social security number and current employer is the important information. Review each category on each report separately, so it won't be so overwhelming. Student loans, credit cards, mortgages, auto loans and personal loans. Note past due accounts, credit card balances and credit limits, and any incorrect information about current accounts. Locate the dispute address for the credit bureau and write a letter disputing the incorrect information. There is an online dispute option, however it is better to write a letter to the credit bureau creating a paper trail. Include any supporting documents and proof of payment and a copy of the credit report with a highlight of the incorrect information. The credit bureau has 30-45 days to respond to your request, it is there duty to prove whether or not these accounts belong to you. Keep a file with copies of everything you send to the credit bureau. This is the hard work and waiting game it takes to remove incorrect information from your credit report. The biggest part of your credit score is payment history, it represents 35%. Write down your current bills and create a plan to make the payments at least 1 day before each due date. If you have charge off accounts contact the the original lender and try to workout either a payment plan or a payoff amount. The other major factor effecting your credit score is keeping your credit utilization at or below 30%. This simply means not having your credit cards maxed out. For example if you have a $1,500 limit on your credit card, you should maintain a $450 or less balance. This is the range for a favorable credit score. Ideally, you should plan to maintain a $0 balance every month on your credit cards. This step is by far the biggest and quickest impact on your credit score. Payment history and credit utilization represents 65% of your credit score. These 2 factors are well within your control. Fixing your own credit is NOT easy, building good credit is NOT easy and maintaining good credit is also difficult. However, with hard work and planning it is possible. This part of your financial life is the foundation to paying less in interest which gives you more money to enjoy life. Thank you! Updates are weekly!